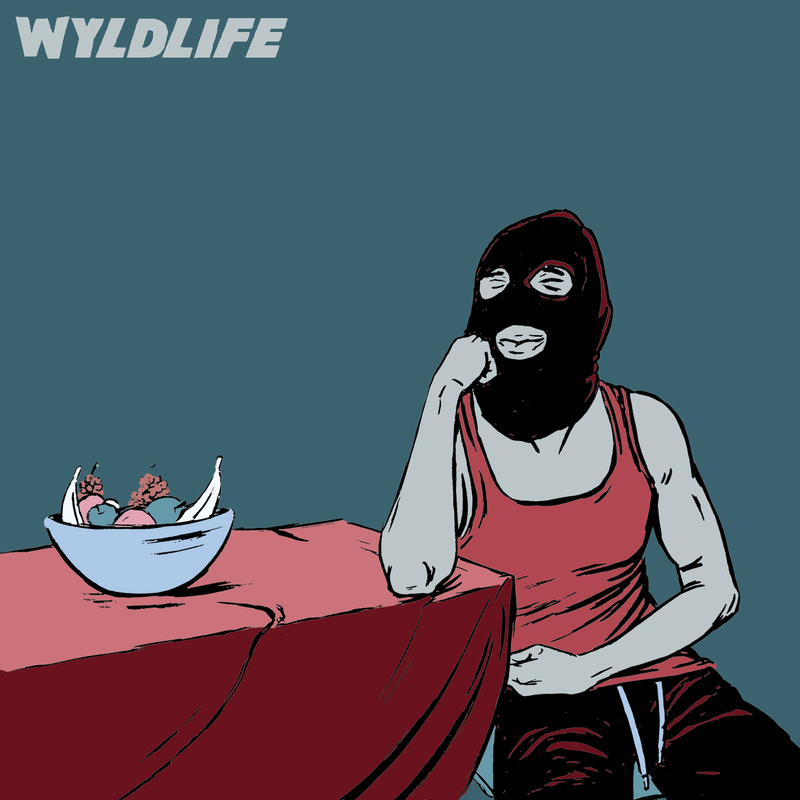 Manuel Bova and I collaborated on the album art for the new Wyldlife EP on Merrifield Records. I did the drawing and he did the coloring. I think we make a pretty good team! I've had some time off from my job at GNC, so I've been trying to use it wisely and cross some things off my list! "Lets do it!" says Manuel. The Picasso show is simply breathtaking. I think this is my favorite Picasso painting. My camera doesn't do it any justice. Always love to check out this painting, makes me want to listen to some metal! Ringo Starr's gold snare drum! GEE WIZ! I'm always a sucker for the Japanese and Chinese art. One thing that I've been itchin to cross off my list is to visit Staten Island. I live in Manhattan, I've gotten down in Brooklyn, killed some time in Queens, and I've dropped by the Bronx, but of all the five boroughs I had yet to see whats good with Staten Island. My buddy Samm grew up there so it was a homecoming for him. The Ferry ride was so beautiful, almost as beautiful as Samm is. Before we knew it we were there! HOORAY! Went creepin around Mr.Allen's childhood home. Before we knew it our time in Staten Island was cut short. For my first time on Staten Island, I gotta say... its not that cool. Oh well. Next we headed to Brooklyn to see the killer rock n roll bands the booze, and biters. I feel good knowing that Batman is keeping the streets of Brooklyn safe and clean. Biters absolutely killed it. By far one of the best rock bands I've seen in a long time. Next up was the Booze! I swear I went back in time to 1968 when I was watching these guys. They had such a great vintage look/sound. My ears were ringing for hours after the show. If you get a chance to see either of these bands, do it, you won't be disapointed. And so another epic day ended. -Checkin out the brooklyn botanical gardens! I also made a trip to Purchase to screenprint some new Wyldlife shirts! Shout out to supermodel Michelle for modeling for me! Want to download the new Wyldlife EP for free? heres the link! I hope you enjoy listening to it as much as we enjoyed making it! I've got some really great photos and stories to tell, but as usual this blog isn't loading them... they'll be up soon though I promise! The kind folks at Merrifield Records made a band camp website for Wyldlife and our new EP is available... FOR FREE! Give it a listen, I hope you enjoy listening to it as much as we enjoyed making it!